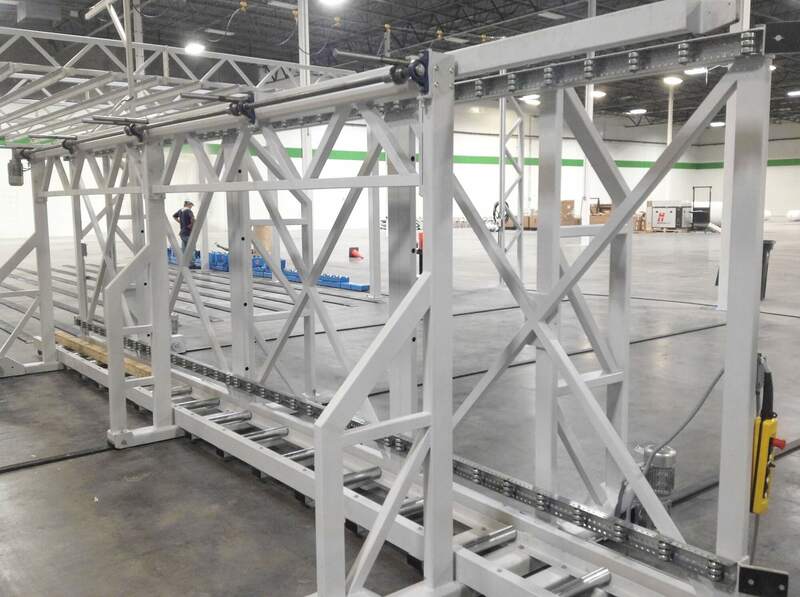 The Soukup TRANSPORTER specializes in material handling and the delivery of panels from assembly tables to individual Finishing Line tracks. 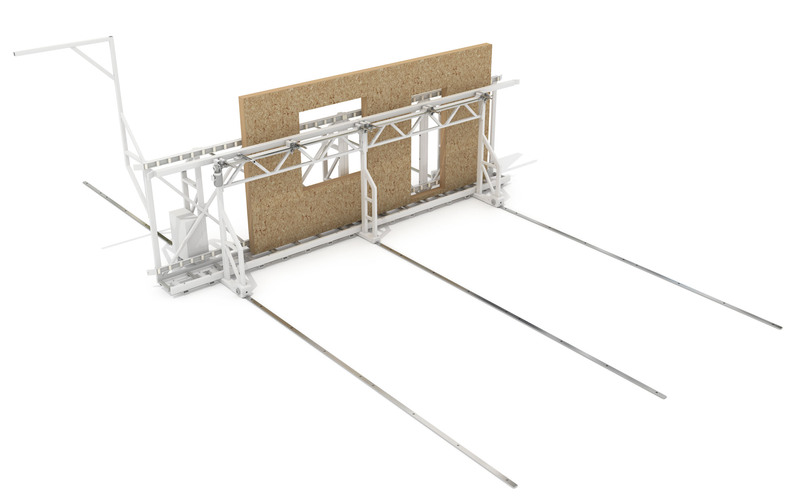 The structure consists of a steel welded frame, which moves along a transverse track. 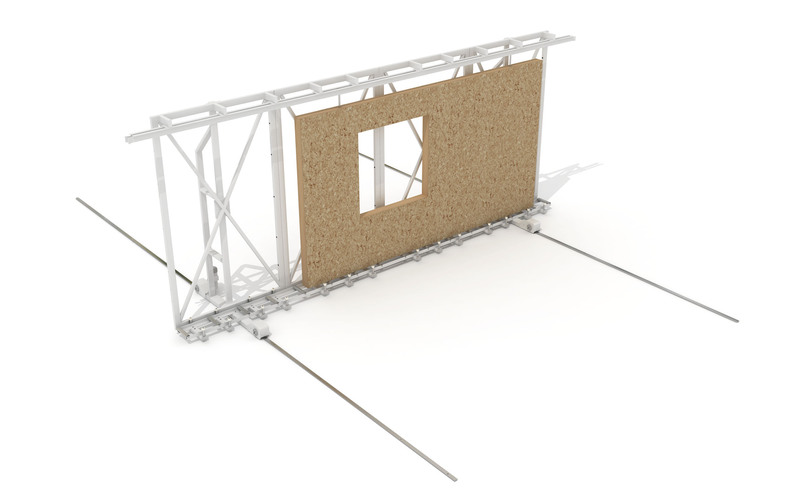 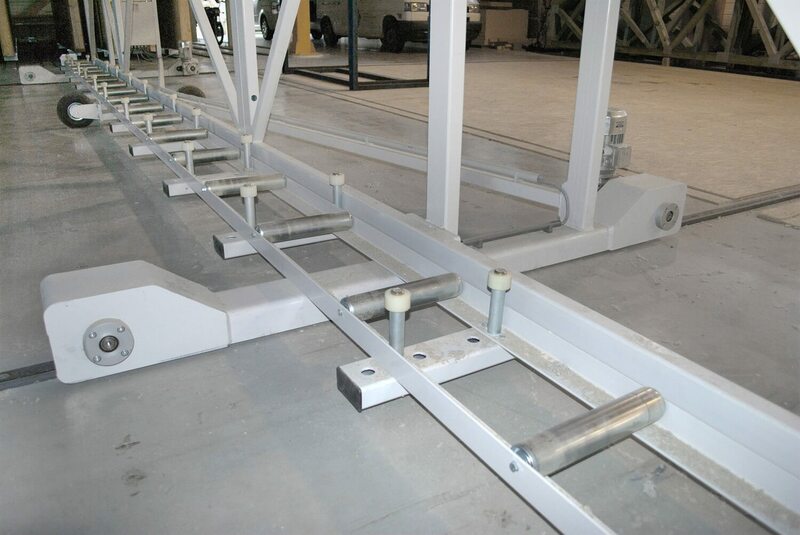 The panel is manually pushed into the frame and transversely moved to the designated position by an electric motor.